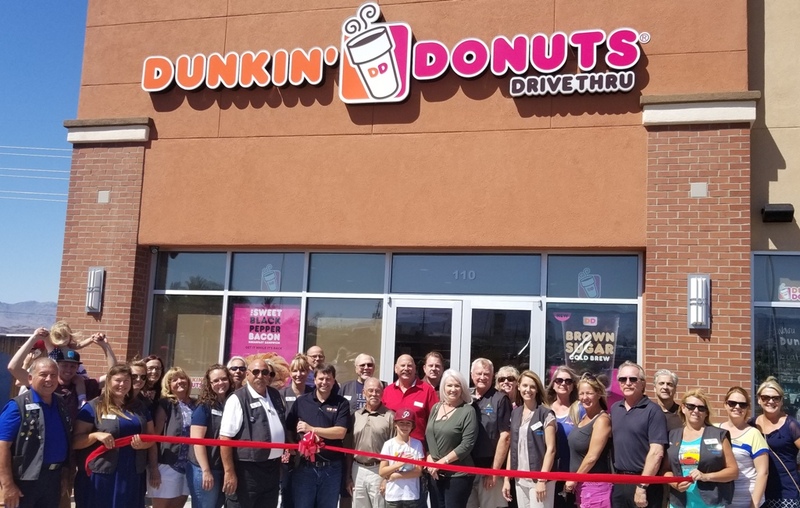 The Lake Havasu Area Chamber Ambassadors held a ribbon cutting ceremony for Dunkin Donuts celebrating its Grand Opening and new Chamber Membership. 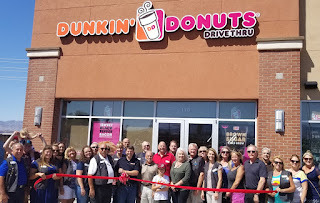 Dunkin Donuts offers fresh baked donuts, fresh brewed coffee, muffins, bagels, sandwiches and other food items. It also has a convenient drive-thru and catering is available. Attending the ceremony from left to right were Nathan Boettcher – District Manager (center holding scissors), Mayor Mark Nexsen, David Lane – City Council, Jess Knudson – City Manager, Donna McCoy – City Council, as well as Chamber Ambassadors and Board Members.